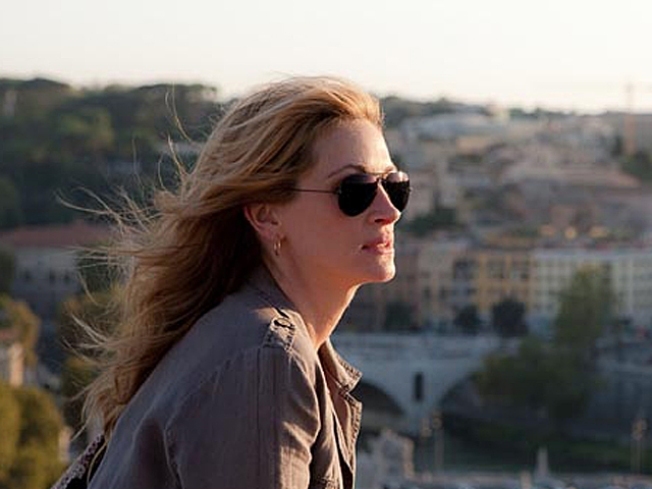 The movie version of "Eat, Pray, Love" with Julia Roberts premieres Friday Aug. 13. As a prelude to the movie premiere of “Eat, Pray, Love” next week, the Home Shopping Network is launching a 72-hour retail therapy session Friday. HSN is partnering with the movie’s production company, Sony Pictures, to promote the film adaptation of the book “Eat, Pray, Love,” which is about one woman’s search for inner peace in Italy, India, and Indonesia. Over 400 beauty, home décor, travel and jewelry products inspired by these three countries will be featured during the marathon. “Our customers will be able to experience the journey of traveling through Italy, India and Bali as we bring 'Eat Pray Love' to life through stories, engaging personalities and unique products that complement the themes expressed in the movie," said HSNi CEO Mindy Grossman in a press release. While the book is about one New York writer’s spiritual healing after a bruising divorce and not filling a void with consumerism , Sony and HSN are banking its popularity. The book version has been a New York Times bestseller for 155 weeks since being published in 2006. “This is a great opportunity for us to reach our target audience while extending the 'Eat Pray Love' experience on the weekend prior to our release this August,” said Marc Weinstock, president of Worldwide Marketing for Sony, in a press release. Based on a memoir by journalist Elizabeth Gilbert, the movie debuts on Aug. 13, with superstar Julia Roberts playing the lead role.